Clearly I'm on the wrong side of the Atlantic at the moment. This is the second post in a row about a US-only release. Coincidentally, it also comes from the Bushmills distillery. 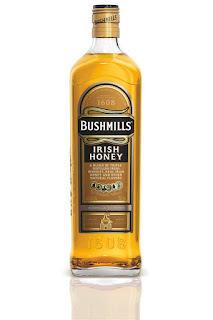 It is Bushmills Irish Honey and is a blend of Bushmills Original, a "touch" of real Irish honey, and "other natural flavours". And it's a little lighter on the alcohol than straight whiskey, at 35%. It's not unprecedented in Ireland to mix whiskey and honey. It's a popular cold remedy or winter warmer along with lemon, cloves and hot water. And Irish Mist, a honey whiskey liqueur, has been around for many decades. 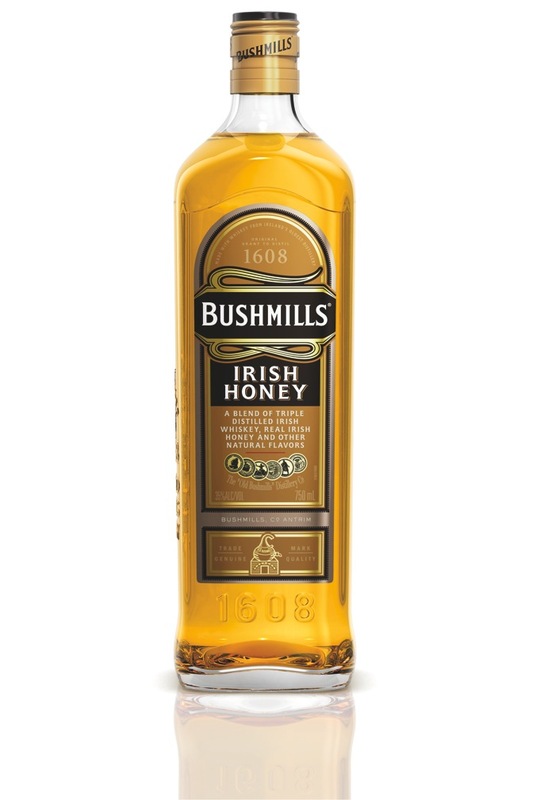 Given where it launched, though, I'm guessing the US market context was more of an inspiration for Bushmills Irish Honey. I was unaware of it until now but there are both Wild Turkey and Jack Daniel's honey whiskey liqueurs, also at about 35% ABV. First aromas are of ripe red apple, pears and sweetened breakfast cereal. After allowing aeration the orchard fruit ripeness builds as honey emerges, creating an inviting bouquet. Honey ably supports apple, pear, and marshmallow taste notes with ease and aplomb. Moderately sweet and pleasing because the malt aspect is never in question or lost due to over-flavouring; addition of honey is moderate and subtle. Suggested retail price is $24.99.